Secret To Change Management Success? Jonathan Byrnes is a Senior Lecturer at MIT. 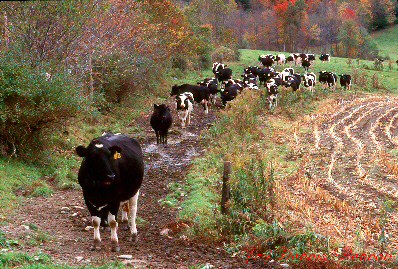 In a recent blog post he talks about the key to success in change management as crafting a change programme that starts with "paving the cowpaths." Byrnes says that: "This essential first step allows the organization to see the power and feasibility of the new approach, which in turn creates the essential conditions for more sweeping change." Byrnes outlines how "paving the cowpaths" is an important initial step in instigating a major change. He outlines how many successful IT system implementation projects start by mechanizing existing processes, but keep latent capabilities to support deeper change. "Over time, as the organization experiences the benefits of the new system and as it becomes part of the company's "plumbing," change managers can roll out the more sweeping new capabilities. Because the system users experience the early benefits of the new system, they become much more willing and motivated to change their practices to take advantage of the powerful new possibilities."